Wellbeing hub summarises our overall approach to improving the quality of life of older people, and adults with health and disability challenges in Assynt. In addition to our signposting and information service we provide a wide range of information and advice leaflets. Staff have cultivated a culture that ensures that service users feel able to ask for support in a variety of area’s and if staff are not able to resolve queries themselves, service users or their query are passed onto the appropriate agency. We have have a good working relationship with the local health centre and attached multi professional teams and often signpost service users to correct services or refer them for additional assessment and support. The Assynt Centre also offers regular professional Health and Social care visits, as it is often used by GPs, Community Nurses, etc to meet with service users. We offer service users a healthy two-course lunch on weekdays. To find out more check out our Lunch page. Users with additional personal care needs can be supported so they are able to come to the Assynt Centre and benefit from our other services. More on this service can be found on this page. As transportation is a particular challenge in our rural location, CCA in conjunction with Connect Assynt provides a minibus service to all service users wishing to attend any of the centres activities, including lunch, from all areas within Assynt. The minibus is equipped with a tail lift to ensure that all individuals even those with restricted mobility can access the service. Once a week, CCA also supports those service users with very limited mobility or no access to alternative transport to attend health appointments at the local health centre. In addition, we facilitate a weekly local shopping trip to support service users to access local community facilities such as shops, bank, post office etc. Staff support not only the transport but the actual shopping if required. We organise formal and informal events where service users can share recipes, craft together, have hair appointments at the Centre, participate in quizzes, join the group for chair-based exercise, sing together, have afternoon teas and more. 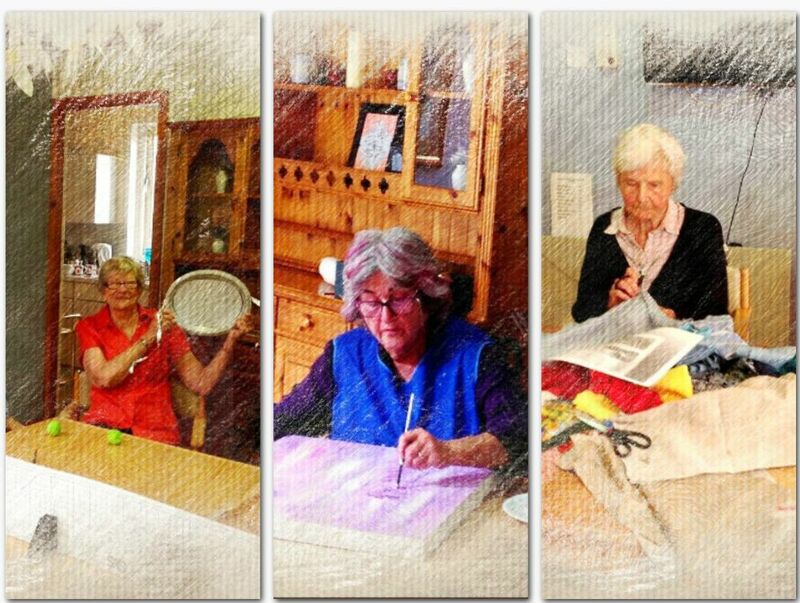 After the day’s care work is done the Assynt Centre serves as an important community venue and meeting place for local groups. More on what is on offer can be found here.